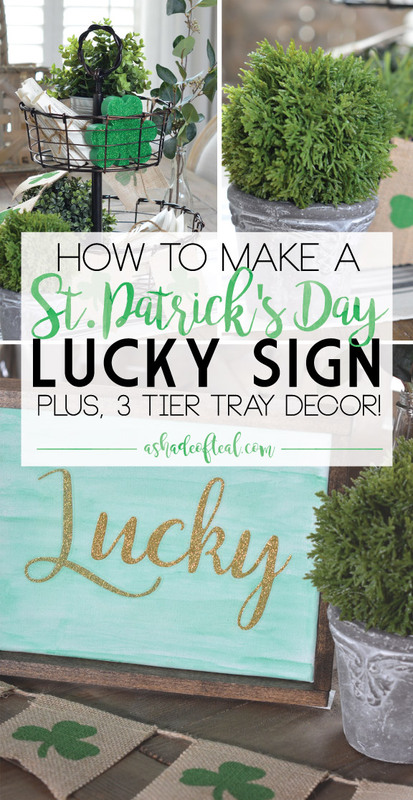 How to make a St. Patrick's Day Lucky Sign, + 3 Tier Tray Decor! 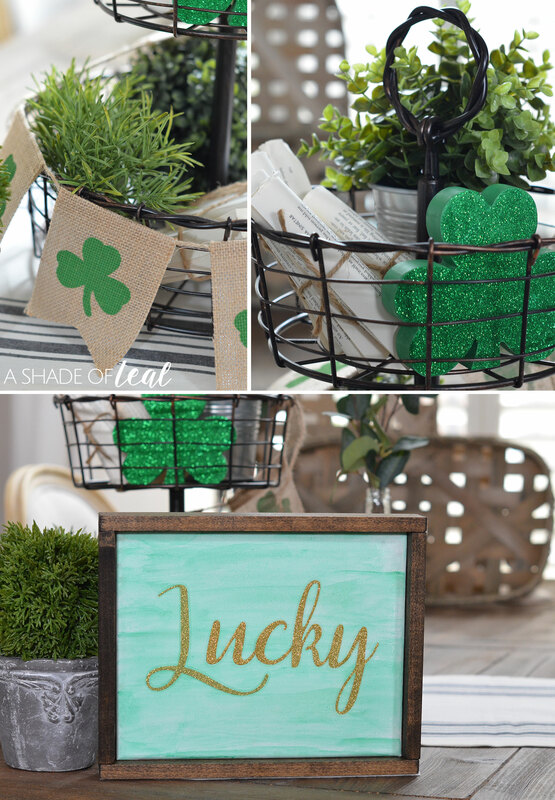 How to make a St. Patrick’s Day Lucky Sign, + 3 Tier Tray Decor! St. Patrick’s Day is about 2 weeks away and I’m ready to get in the spirit! 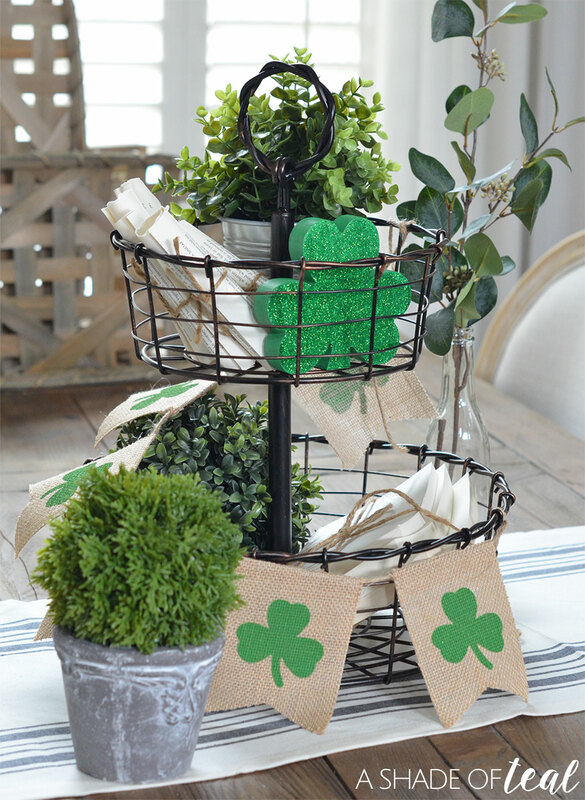 I teamed up with some fellow bloggers to create an easy DIY St. Patrick’s Day decor piece. A big thanks to Meg from Green with Decor, for organizing this hop! Since I have a long line of Irish heritage, I have always loved celebrating St. Patrick’s Day. It especially was a big holiday for my grandma. Optional, wood frame. You can see how to make the simple wood frame here. Step 2: paint your canvas. You might need to add a couple coats to get the variation of shades. Step 3: let completely dry. Step 4: apply stickers to canvas. Step 5: if you plan on adding a wood frame, then do so now. See how to make the frame here. Step 6: add any last decor pieces and enjoy! 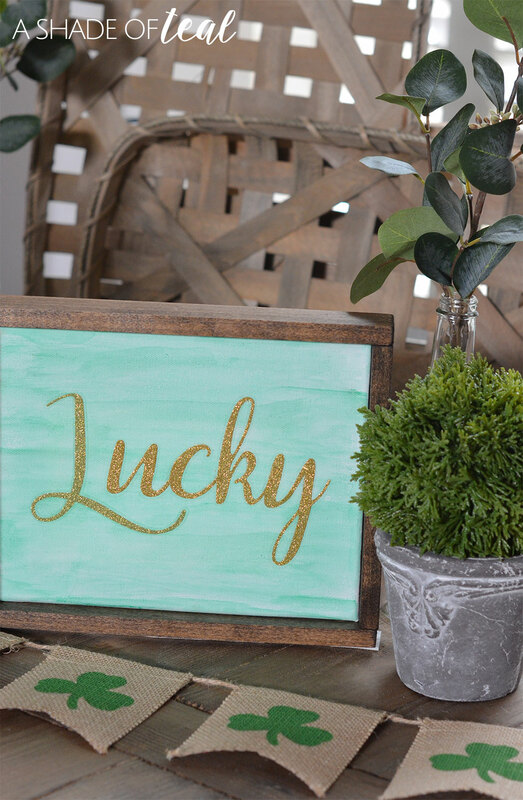 I also decorated a tiered tray to sit with my new “Lucky” sign! If you follow me then you know I have a major love of tiered trays! Here’s some more finished pics of my St. Patrick’s Day vignette. 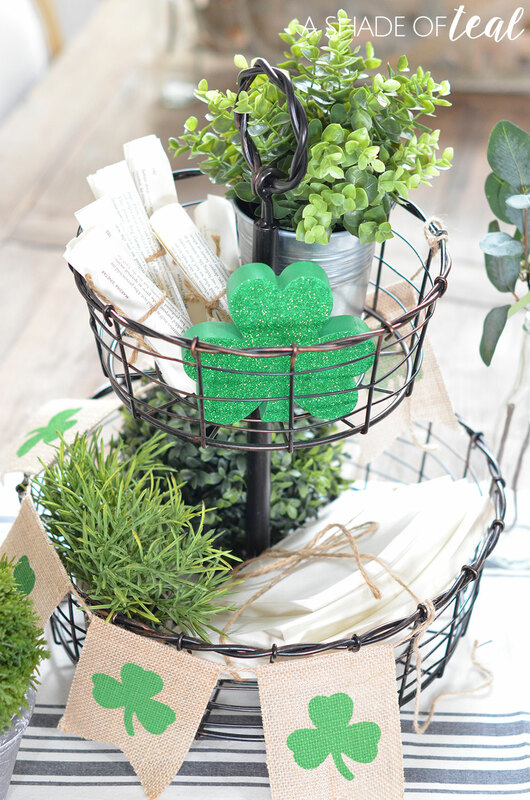 Ready for some more St. Patrick’s Day inspiration? Make sure to stop by everyone’s blog to check out their project. « How to make Spring Candy Bowls with Clay! I love tiered trays too! Your vignette came out so pretty. Loved the stickers you used along with your painted canvas. Hope you have a fun St. Patty’s Day! Your sign is so cute and I love your tiered trays! I just bought one this weekend and have been having so much fun decorating it! Thanks Samantha! I know what you mean with the trays, I’m obsessed with decorating them. I love that banner, it was a great find! Thanks for hosting! OK I never would have guessed that those letters were stickers! Brilliant! 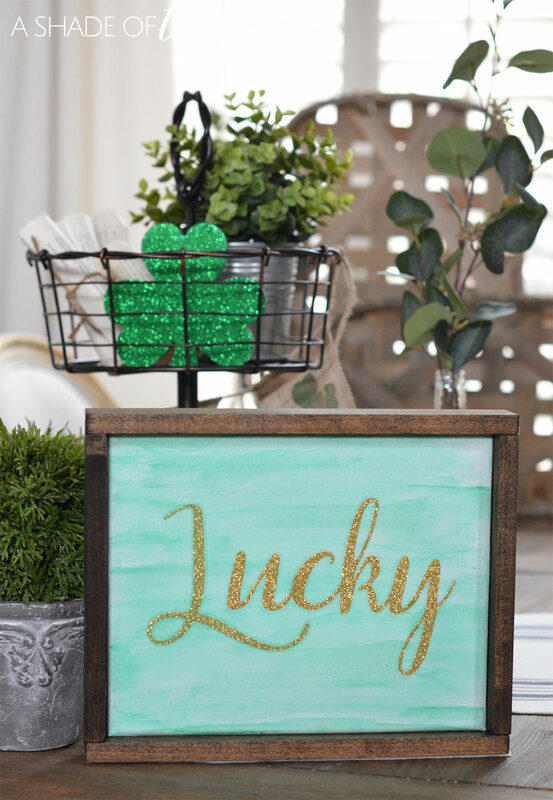 Love the sign as well as the cute decor you have for St. Patrick’s Day!